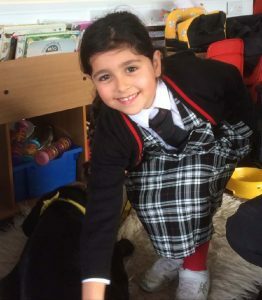 This week we completed our topic about ‘Ourselves and other animals’ and welcomed Jo and Paddy from ‘The Dogs Trust’ into school. Jo told us lots of information about Paddy and the children learnt the many needs of keeping a dog. Max wanted to ‘give them treats if they are good’; Evelyn knew that ‘dogs need to be brushed’ and Aran commented ‘dogs need hugs’. In our writing this week we used adjectives to describe items a dog might dig up in a garden…. linking in with ‘The Dog that could’ book. 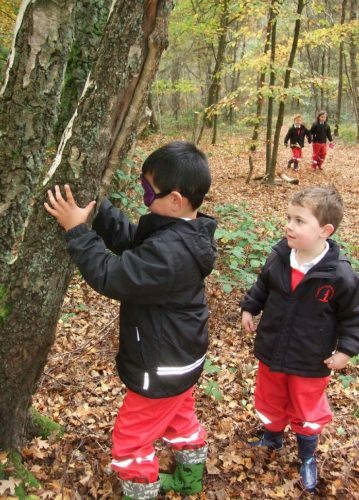 Mrs Blacker’s class went into the woods this week to use their senses. The children felt different tree trunks and chose their favourite trees, then they played a feely game blindfolded. 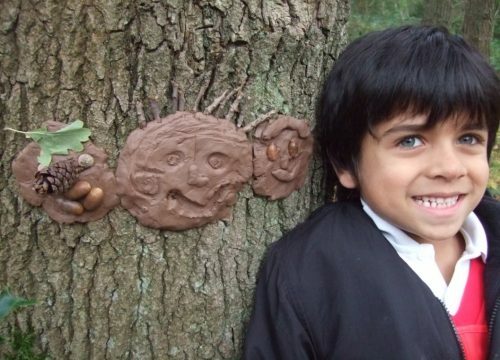 A seeing partner led them to a tree to feel the trunk and then back to the friendship circle and removed the blindfold. Next step was to find the same tree through feeling the trunk. Some leaders were very devious and led their partners on false trails before they removed the blindfold! You certainly find out who your friends are!